Mercure Manchester Piccadilly Hotel, Manchester. 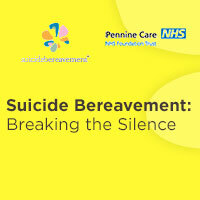 This international conference is a collaboration between Suicide Bereavement UK and Pennine Care NHS Foundation Trust. It provides a platform whereby individuals can network, learn from each other and share good practice in this newly developing field in the UK. Over 350 delegates, from several countries attend this event and it is always over-subscribed. PABBS evidence-based suicide bereavement training has been informed by a three-year study, led by Dr. Sharon McDonnell's research team at the University of Manchester. The study was funded by the National Institute for Health Research (NIHR) and first of its kind internationally. The training helps to address one of the key areas for action in England's suicide prevention strategy (DH, 2017). Dr. Sharon McDonnell and her research team at the University of Manchester in collaboration with Support After Suicide Partnership, are conducting an anonymous national suicide bereavement online survey. Anyone aged 18 or over, who have been bereaved or affected by suicide (including professionals) can participate. Please will you help raise awareness of the survey by sharing the following link as widely as possible (e.g. your distribution list, website, facebook, twitter, Linkedin etc) Also, if you feel able, please complete the survey. Dr. Sharon McDonnell is currently developing evidence-based prison suicide bereavement training and will be available spring 2019. 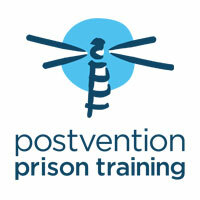 Please contact Paul Higham if you wish to be informed when the training is available. Dr Sharon McDonnell spoke to Mental Elf at about the importance of postvention. Initial findings from the anonymous suicide bereavement survey will be presented at the conference.